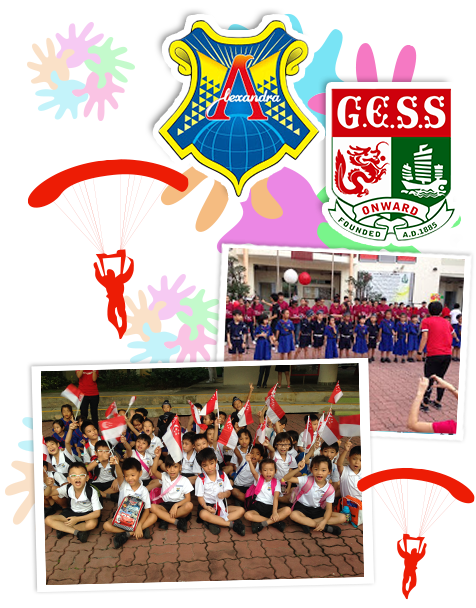 The school celebrated National Day on August 8th with big fanfare and joy. The staff and students of Alexandra Primary School celebrated the country’s birthday with Gan Eng Seng School. Staff and students arrived early at Gan Eng Seng School. The day’s programme started with Observance Ceremony as the 6 uniformed groups contingents marched into the parade square as our students waved their Singapore flags. To many of our students, the contingent march-in was an eye-opener for many of our students. Selected Primary 1 students put on Boys’ Brigade uniforms, Girls’ Brigade uniforms and Scouts uniforms and they put up a marvelous performance which brought cheers and applause from the audiences as everyone sang along to familiar tunes of “Home” and “In a Heartbeat”. It was indeed a meaningful and fun-filled celebration of our country’s independence and successes over the last 49 years. Hari Raya Puasa which means Day of Celebration is an important religious festival celebrated by the Muslims. This festival marks the end of the Ramadan. Ramadan is the ninth month of the Islamic calendar and Muslims worldwide observe it as a month of fasting. 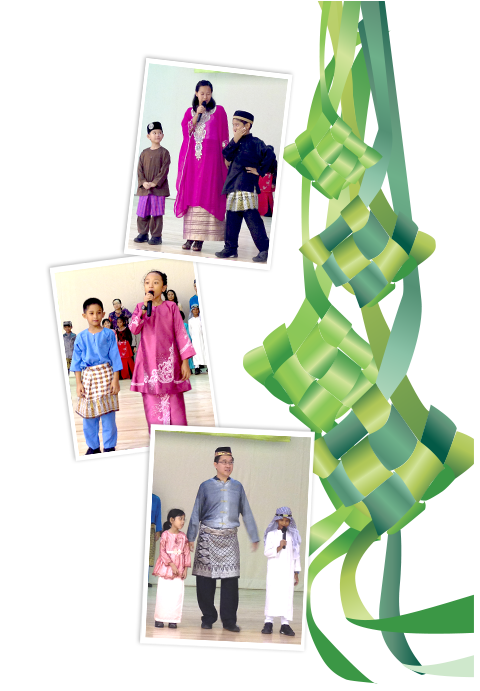 Alexandra Primary School’s Hari Raya Puasa celebration was held on 4 August 2014. Madam Nazariah shared the customs and festive practices of the Muslim community with the school. Staff and students watched an interesting video which featured how Muslims celebrated Hari Raya Puasa. Madam Nazariah also introduced the different delicacies prepared by the Malay families and the traditional costumes worn by the Malays. This was followed by a short quiz to reinforce what the students had learnt from the presentation. The grand finale for the celebration was a fashion parade put up by our pioneer batch of Primary One Muslim students and a few teachers. It was a memorable celebration for everyone. The theme for 2014 MTL Fortnight was ‘Festivals’. Students were engaged in a variety of activities to learn about the cultures and traditions of the Mid Autumn festival, Hari Raya Haji and Deepavali. 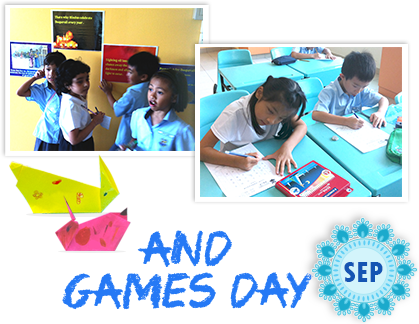 A fun and enriching environment was provided for all students to develop a love for their Mother Tongue language. During MTL Fortnight, the Chinese students learnt about the origins of the Mid Autumn festival, as well as the myths and traditions pertaining to the festival. A modern poem was taught and the students applied what they had learnt in a penmanship activity. The Chinese students enjoyed themselves in a hands-on activity which involved the folding of paper ‘Jade Rabbits’. During the week, all P1 students were given a platform to showcase their work in the Gallery to encourage cross-cultural appreciation among the different ethnic students. The students watched video clips which featured the celebration of the different festivals and actively took part in the quizzes. There was a ketupat colouring competition conducted in the classroom and students also learned the greeting by writing “Selamat Hari Raya Aidilfitri” for their penmanship activity. Students were also introduced to Deepavali, one of the major festivals celebrated by the Hindus in Singapore. It was a great exposure to the students as many of them are non-Hindus. MTL Games Day was held at the end of each term of the school year. All MT students participated in the language games and activities which were designed to instil interest in their Mother Tongue languages as well as provide opportunities for them to apply what they had learnt. 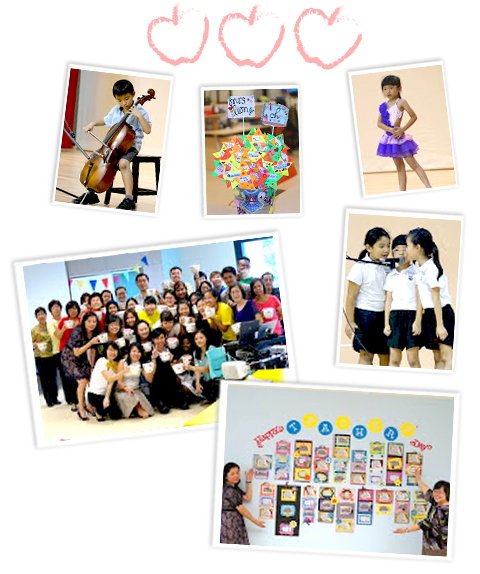 ALPS Teacher's Day Celebration was held on 4th September 2014. The school leaders organised a meaningful concert to appreciate the efforts of our teachers. The students put up a series of delightful performances to express their heartfelt gratitude to their teachers.  The teachers had a fun time participating in a game where everyone tried to guess the student’s identity based on his/her baby photo. The teachers definitely had a time of their lives! Kudos to the school leaders and Happy Teachers’ Day to all teachers!